Leasowe Castle was built in 1592 and has plenty of ghostly activity. The history of the Castle's hauntings is that many years ago, a family feud resulted in a man and his child being locked in a room and left there to starve. The man, to save himself and his child from such a painful death, killed his son and then commited suicide. 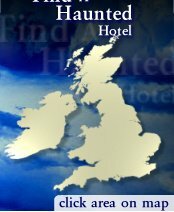 The pair have been witnessed by many paying visitors to the hotel, in the haunted room. Many of the people who work in the hotel have witnessed customers running down corridors in terror after seeing the two spirits. Not so long ago the Castle suffered from a terrible fire that meant that most of the building had to be rebuilt. Since the rebuilding of the ruined parts there have been many witnesses of a ghost who is only visable from the waist up from the floor. This is because when the Castle was being rebuilt the floors where built at a slightly higher level than the original floor had been. This WeekendHaunts event will begin with your arrival on Friday evening in time to enjoy a delicious 3 course dinner. There will then be a Q&A session and a walk-around preliminary investigation prior to the main event involving our medium plus psychic entertainment. On Saturday you are free to explore the town of Moreton or just relax in the lovely surrounds of Leasowe Castle. Saturday evening commences with another 3 course meal before the night’s full paranormal investigation by one of the UK's top investigative teams consisting of a Group Tour with mediums; Group Vigils and Séances with mediums followed by full discussion and debrief of findings. We have a limited number of places for this sought after event and so will have to work on a strictly first come, first served basis. We encourage guests to bring their own photographic and recording equipment and to take as many photographs or videos as possible! All pictures will be posted onto our web site and you may download them following the event!